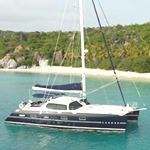 BHCyachts.com is a luxury yacht, yacht vacation concierge. We can and will make your next yacht charter a vacation to remember. Luxury yachts are our speciality along with luxury yacht catamarans, luxury yacht motor yachts, luxury yacht sailing, Greece luxury yachts and luxury yachts from Antigua to the Bahamas and their luxury yacht collection and lets not forget the Mediterranean and the luxury yachts of the french riveria. Established in the luxury yacht business in 1995. We do business the good old fashioned way, where you are number one! We want all our guests to reach our experienced staff at any time of the day, or night, including week-ends, answering machines are not an option with us. Flexibility is vital to personal service and the quality of our service today, is tomorrow's reputation. 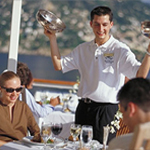 When it comes to the luxury yacht buisness, Impeccable service today builds an illustrious reputation tomorrow. Our luxury yacht charter Corporate office is in Fort Lauderdale, U.S.A. We have enjoyed the same bank, legal and fiscal infrastructure since inception. Steadily growing as our repeat guests increase, from building a superior reputation, with the use of cutting edge Internet technology, as well as with the crews, vessels and the vacation public. This has supported our eager growth. Barrington-Hall Europe (U.K. office) was established in February 2000 to deal with the diverse market in the Mediterranean. A magnificent charter requires meticulous planning. We listen to your food and bar requirements and anticipate the needs for you and your party. This planning needs the input of professionals who know the crews, know the vessels and have a vast knowledge of your selected location. We would not be doing our job if we provided 7-12 brochures for you to consider. It is seldom that we provide more than 3 selected brochures. We delicately hand pick the vessel and crew for you to consider, our livelihood depends on us offering the correct vessel and team. All vacations are not created equal! We simply provide the quality details which make the difference.